Design trends come and go, but truly great work has no age. This can be seen in all genres of design, including hardware, and that’s why we’ve gathered together a list of our favorite hardware designs from the past for your inspiration. Look no further than below for more, and then let us know your favorite (or if we missed your favorite) in the comments below. Jony Ive has clearly been influenced by vintage hardware designs from companies like Braun — that’s nothing new. But even as Apple moves away from its skeuomorphic past, Dieter Rams’ minimalist approach back in the 60s feels incredibly fresh and modern to this day. Yes, we’re aware that any camera not attached to a phone is antiquated in many people’s eyes (unless you’re a pro), but Leica has that “what’s old is new again” saying down to a T. Today, the company’s latest digital cameras still look quite similar to the 1950s-era M3. Call us crazy, but many of Swatch’s vintage watch designs look like they could have been made this year, including this colorful 1987 model. Vox’s AC30 is an excellent example of vintage design that functions perfectly today. First introduced in the 50’s, the AC30 has barely changed since its debut and is still sold today. 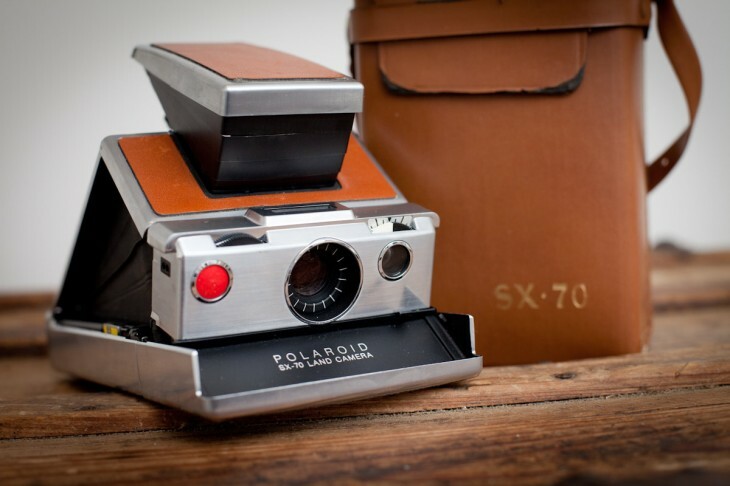 Although Polaroid is now struggling to stay relevant, somehow the vintage design of its Land Cameras feels timeless. The alarmingly compact design of the 1972 SX70 only furthers this feeling. Although fashion has always been cyclical, Ray-Ban’s vintage frames continue to feel current and have even inspired modern varieties from companies like Warby Parker. Showing Dieter Rams more love, the 606 Universal Shelving System hasn’t changed since it was first created back in 1960, and it doesn’t need to. Although typewriters have made the shift from productivity tool to decor accessory, the colorful designs from The Royal Typewriter Company remain unmistakably charming. Even as the technology continues to age, the design is classic and inspiring. Another example tied to furniture, this list would not be complete without an Eames Lounge Chair, which has yet to lose its magic since its 1950s release. Despite being a manual coffeemaker from the 40s, the Chemex continues give off modern vibes — even if some confuse it for a futuristic vase or a water pitcher. Best of all, it makes absolutely delicious coffee.